So, when I was starting to get back into the rhythm of posting and checked the hashtag pages to figure out how my last post was doing, you can imagine my devastation when it showed up on [insert drumroll here] none of them. I was a little baffled and a little more disappointed. The post was doing well by my other metrics, had Instagram just suddenly up and gotten a lot more popular in the month I got busy? I logged onto @ZoraFloraSays and checked the hashtags I used for @JonesDoesLife and lo and behold: there I was. My immediate thought was “Okay, but they probably know I check @JonesDoesLife so maybe that rigs my top posts.” I logged out of Instagram altogether and went to look at the tags. Still there (top-middle). Apparently the only person who couldn’t see me there was, well, myself. Why wouldn’t I see my own post on the “Top” section? The first and simplest answer is “Maybe they don’t want people to use this as a metric”. If you’re on social media to be social, then you probably don’t want to just see your own photos. After some confused googling, I discovered a new feature that Instagram has recently discussed rolling out: following hashtags. This feature would presumably allow users to follow top posts on new hashtags. Per the nature of Instagram, if your post was a top post then your own photo would show up twice on your feed (which feels like some kind of time travel paradox). I suspect that in preparation of testing and implementing this new feature, they’re also adding more complex logic to the “Top Posts” section in order to customize it for a particular person – they already do this in the Explore feature. This means that everyone will end up seeing different “Top” posts based on what Instagram thinks you’ll like, not based on what is generically a popular post. This could be both good and bad. It means that if you’re already on Instagram’s radar to “be seen” by people with a particular interest, you’ll probably still get proffered up to new users and it’ll be better targeted. However, it also means that you can’t just rely on posting at the peak times and quick engagement from followers to get you noticed (I have a hunch that this might be Instagram’s response to the whole “Instagram Pod” fad). For instance, as a user, if @codergirl_ is taking up 9/9 of my recommended “Top Posts” in a hashtag and I already follow her, that makes it harder for me to find more good people to follow. To give you some real-life examples, I noticed that despite having (what I think are) decent pictures, my recent posts have had a decreasing amount of views. If I rank my posts by number of views, only one of my posts from the past week even makes the cut. By contrast, if I sort by likes, three of the posts do. As I interpret this, it means that fewer people are actually seeing my posts, but the people who are seeing them are also more interested in the content. I suspect Instagram is not only using hashtags and engagement to determine top posts, but also some kind of image parser to determine what’s actually in the image (i.e. they can tell if it’s a picture of a computer or a human). In plain English, that would mean that not only does Instagram let you categorize things (by hashtags) but they may also have their own internal system categorizing photos and apply it to what you can see. What would it mean if they’re using an image parser? As a user you can put whatever hashtags you want on your own photo (you can put #dog on a picture of a cat, etc. etc.) 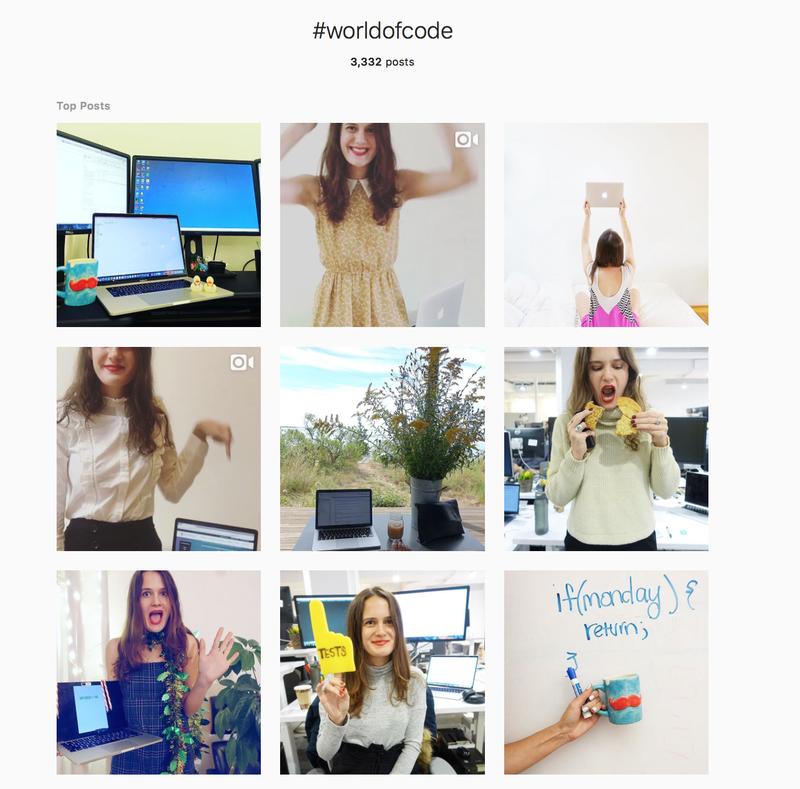 – It would be 100% in Instagram’s best interest to see if the words and the intent align as some hashtags have been widely misused (e.g. for a while the #dogs tag was limited because apparently people had been insulting girls by using that as a hashtag). It’s also relevant if Instagram is trying to sort out inappropriate posts quickly and effectively. What you don’t think about is your own internal biases; maybe you only like ads that have blondes in them, maybe you only like ads with people who vaguely look like Jennifer Lawrence, maybe you only like people looking at (or away from) the camera. If a company can figure out specifically what you like, then they’ll prioritize those things in your feed because giving you what you want and keeping you on their website longer also gives them what they want: your time. They were posted at different times (one in the morning and one in the evening), but from past trends I’ve found that time isn’t actually a good measure of how much engagement a photo will get. You’ll notice that it pegged my gender, “computer”, and “computer programmer” as part of the tag. The parser knows that I’m a girl and I have something mechanical in the photo with me (and it agrees with my coworkers that I look like a former Russian spy), but this one definitely doesn’t tag me as a computer programmer. 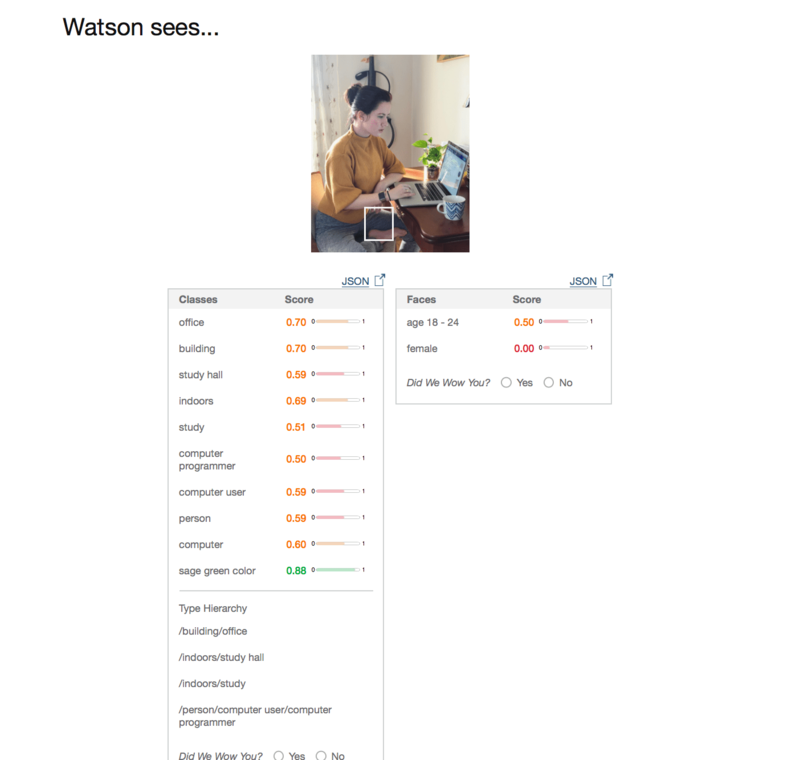 This could totally explain the difference in exposure: more people like images that are tagged as having computers in them by AI rather than ones that aren’t if they’re looking at #developer so Instagram will tend to show them more pictures that fit their preferences (as a developer, it would take an incredibly simple logic loop to check whether the AI tags and the user-selected hashtags matched up). Could the difference be in human preference and not parsers? So I had 40% less engagement on this photo, 58% fewer followers at the time, and was exposed to double the number of people. That seems weird. Even though the christmas sweater photo had fewer users looking at it, its engagement rate was comparable with the photo from the week before that was seen by twice the number of people. If people just didn’t like the picture I would expect them to look at it and not like it, causing the engagement rate to go down. If there aren’t selective algorithms at play here, then I don’t know what to tell you. Take photos that look practically identical! Jokes. Don’t do this, that’s a terrible idea and will make for terrible content. 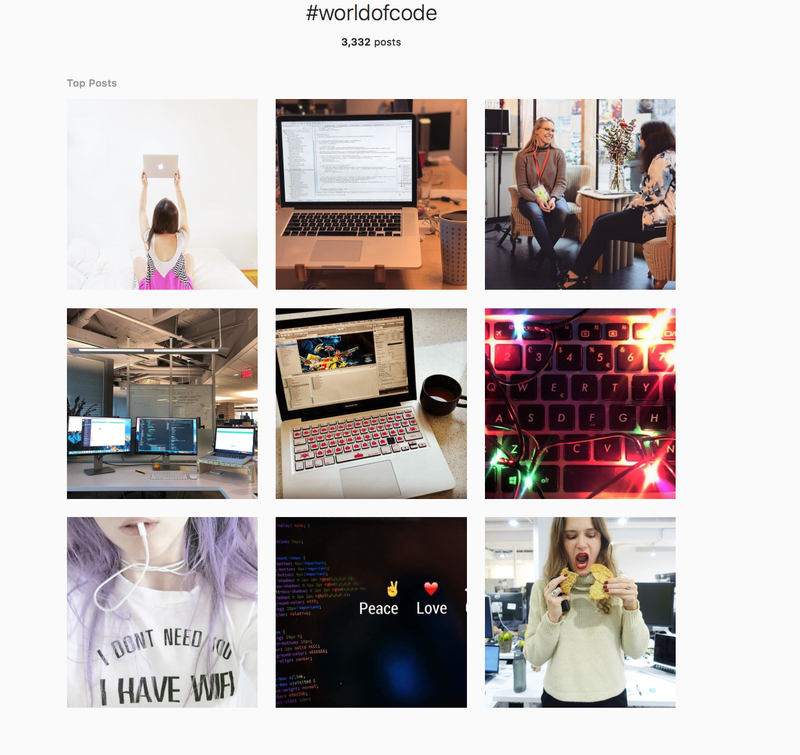 My hope is that Instagram is just still working on their algorithms right now and figuring out how to target people (I love @codergirl_ but also don’t want to see only her photos for the rest of my life). If you’re stressed about engagement levels (as in, it’s your business to be stressed about them), then take a look at your stats and see what your most popular content has in common. Don’t look at the number of views, but look at the actual engagement (likes + comments) because that seems to be what Instagram is leading people towards. It may also be time to start looking outside of Instagram for growth as a content-creator because with the direction the algorithm seems to be leaning – whether they use image parsing or not – it’ll be easy to pigeonhole content-creators into very specific demographic bubbles, particularly if it’s focused on showing people things they already follow. Number of views are down but engagement (likes/per view) is up? I’d blame the new algorithms that seem to be applied to the “Top Posts” in the hashtag pages. Much like the Explore page, the hashtag “Top Posts” are being customized to your own profile and seem to be leaning towards people that a user is already following. 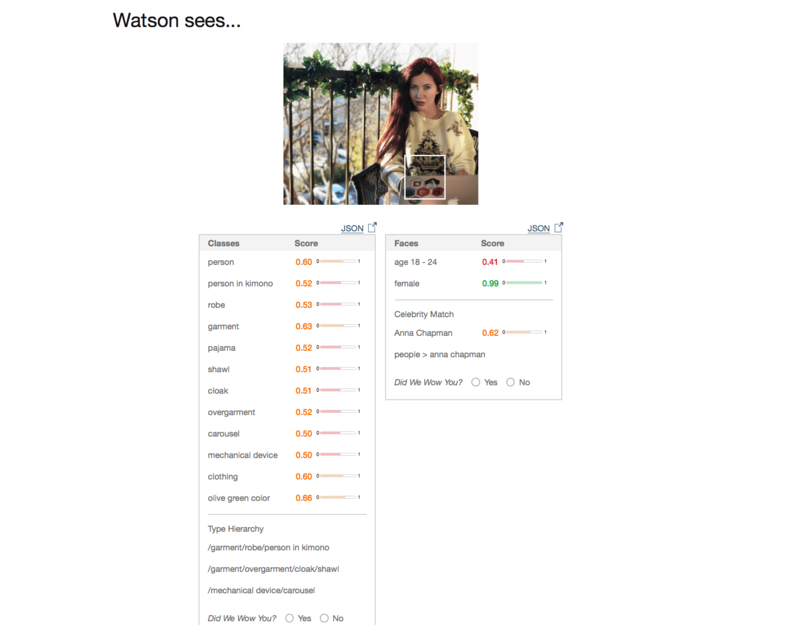 I also had some fun using IBM’s Watson Image Recognition System to check out why my photos aren’t doing so hot – if Instagram is using an image classifier then that would be another level of data which they could use to decide what posts people like (regardless of user or hashtags), making hashtags a little irrelevant.